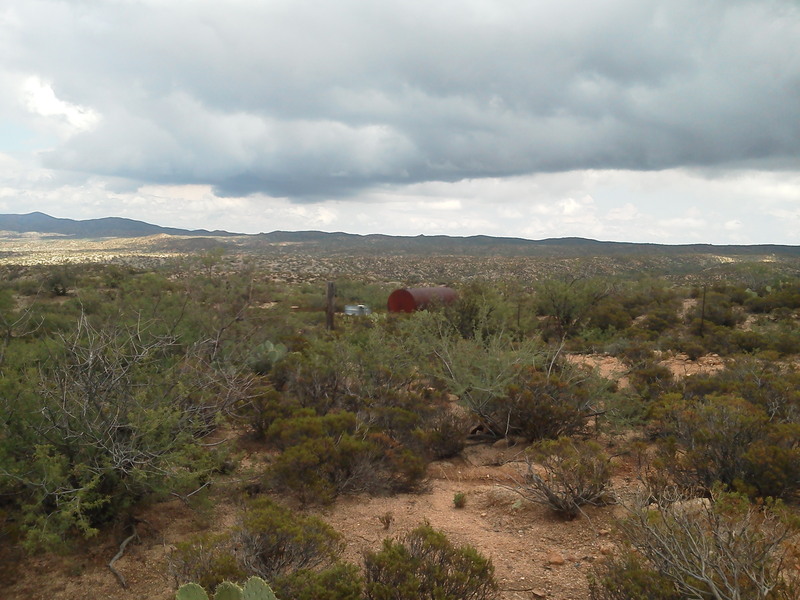 K Bar W Ranch Location- Near Florence AZ Acreage- Deeded – 640 State – 4880 Carrying Capacity – 56 Head Year Long Elevation/Terrain – Vegetation – Gramma Grasses, Mesquite, Mormon Tea, Catclaw, Water – 3 wells, pipelines and drinkers feeding water to the HQ, Corrals and every Pasture. Cattle – 50 head of mature cattle included with a full price offer. 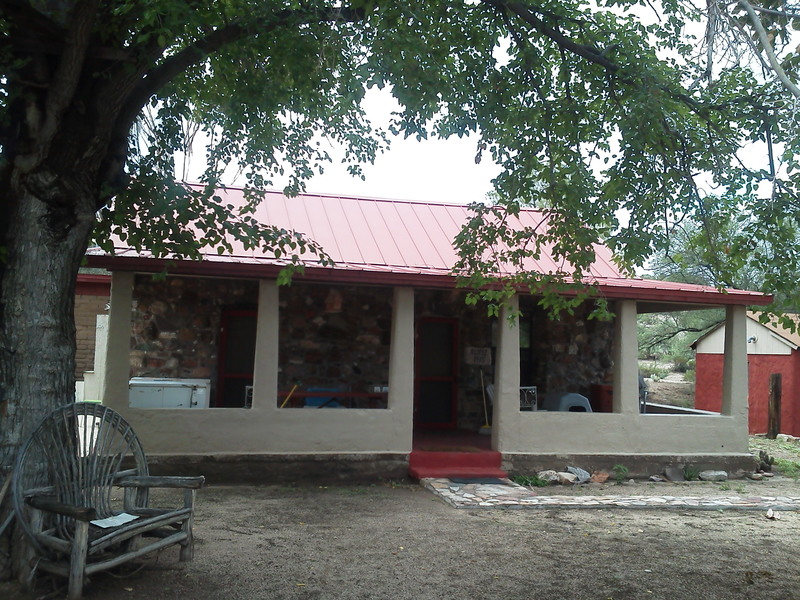 Fees/Taxes – AZ State Fees $2.35/Per AUM Taxes- $501.96 Improvements- Headquarters: Home- A nicely remodeled and updated, 1935 Stone and adobe home. The home has 3 bedrooms, 1 bath, nice kitchen with Oak cabinets, and a living room. The porch runs the length og the home overlooking the Headquarters grounds and corrals. 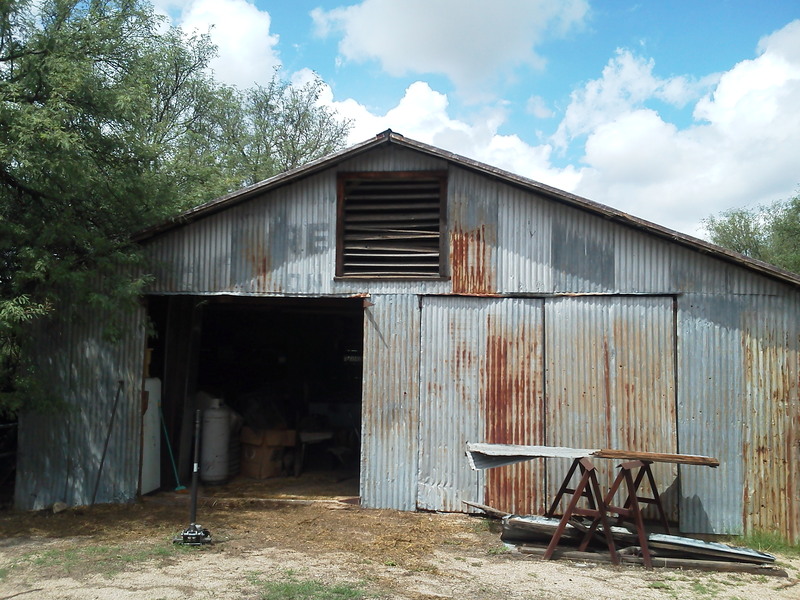 Outbuildings- There is a barn, shop, storage building, carport, generator house, and saddle house. 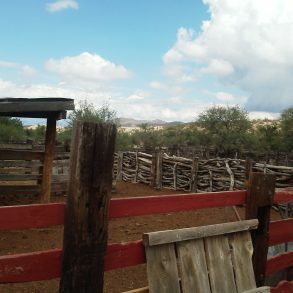 Corrals- There are stacked mesquite corrals, squeeze, calf table, hitching post, horse corrals and larger chicken coops. Range- Fenced and cross fenced into 4 Pastures and one trap. The range water is supplied by 3 wells, pipelines, several large water tanks. Notes- This is the lifestyle of a quiet cattle ranch. 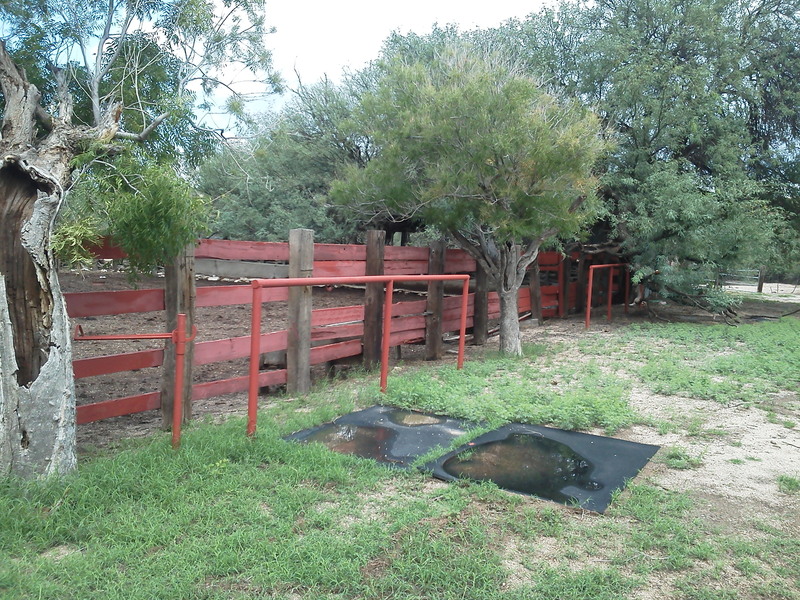 The layout of the ranch reflects an end of the road ranch, with housing and headquarters in the middle of the ranch on one section of deeded. The home is a quintessential classic ranch home, built in 1935 of rock and adobe. The home has been tastefully remodeled and updated. The ranch function is designed for ease of management as all pastures feed into the headquarters trap. Price- $695,000 Contact: Scott Thacker 520-444-7069 ScottThacker@mail.com www.swranch.com	www.azranchrealestate.com Information acquired through various sources and while deemed accurate, Arizona Ranch Real Estate makes no guarantees herein and all potential buyers are advised to have any studies buyer deems necessary to achieve buyer’s satisfaction. Seller certifies that the information contained on this sheet is true and complete to the best of the Sellers knowledge. Water – 3 wells, pipelines and drinkers feeding water to the HQ, Corrals and every Pasture. Cattle – 50 head of mature cattle included with a full price offer. 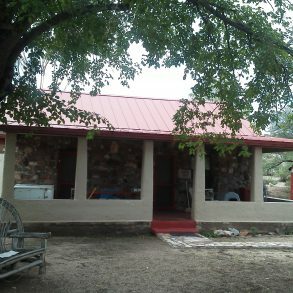 A nicely remodeled and updated, 1935 Stone and adobe home. The home has 3 bedrooms, 1 bath, nice kitchen with Oak cabinets, and a living room. 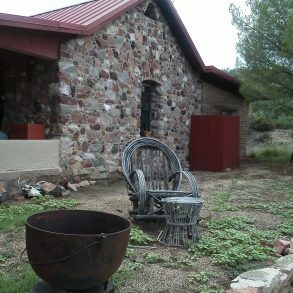 The porch runs the length og the home overlooking the Headquarters grounds and corrals. 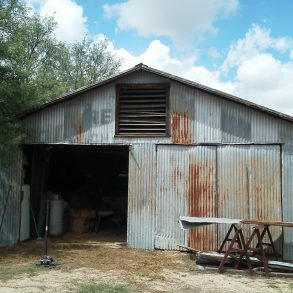 There is a barn, shop, storage building, carport, generator house, and saddle house. 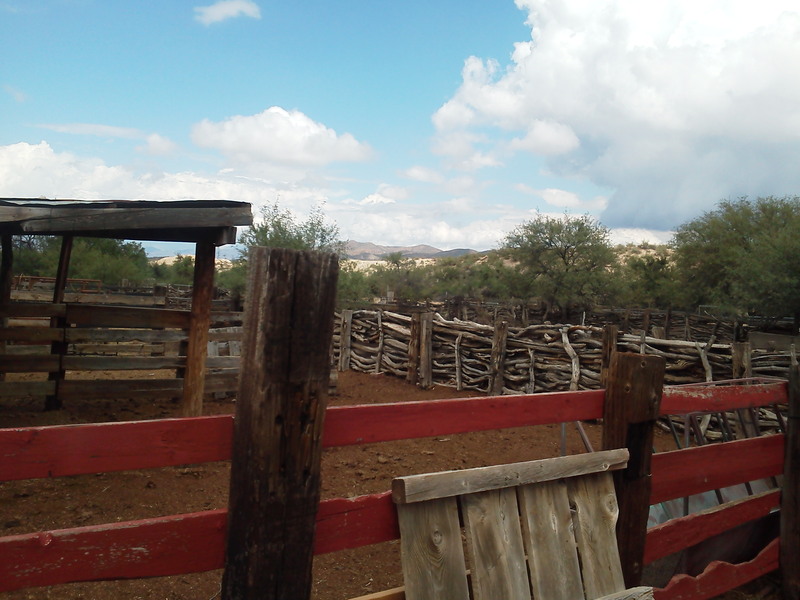 There are stacked mesquite corrals, squeeze, calf table, hitching post, horse corrals and larger chicken coops. Fenced and cross fenced into 4 Pastures and one trap. The range water is supplied by 3 wells, pipelines, several large water tanks. 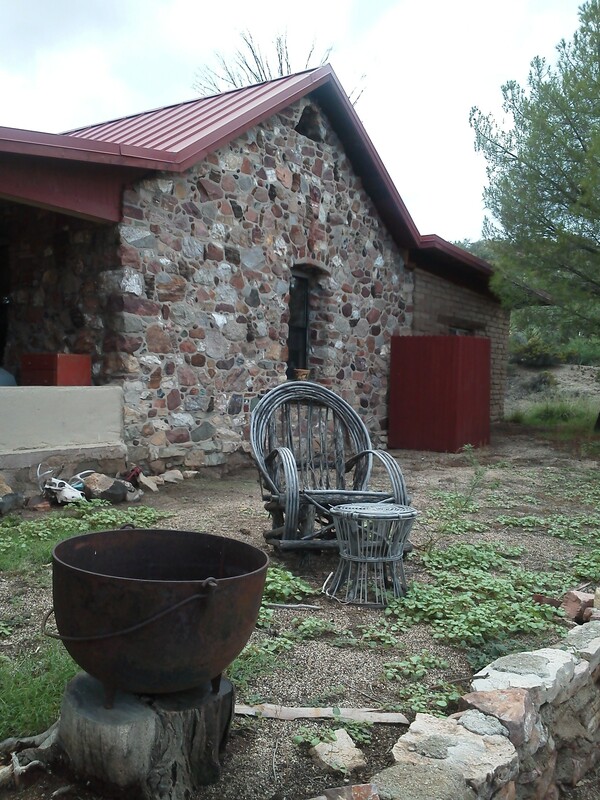 Notes– This is the lifestyle of a quiet cattle ranch. The layout of the ranch reflects an end of the road ranch, with housing and headquarters in the middle of the ranch on one section of deeded. The home is a quintessential classic ranch home, built in 1935 of rock and adobe. The home has been tastefully remodeled and updated. 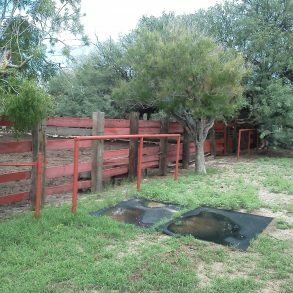 The ranch function is designed for ease of management as all pastures feed into the headquarters trap. 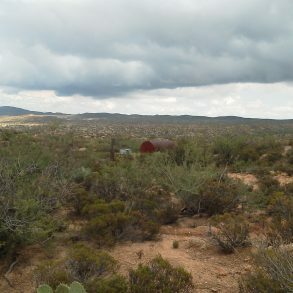 Information acquired through various sources and while deemed accurate, Arizona Ranch Real Estate makes no guarantees herein and all potential buyers are advised to have any studies buyer deems necessary to achieve buyer’s satisfaction. Seller certifies that the information contained on this sheet is true and complete to the best of the Sellers knowledge.